Royal Gaitor Tumbas is located to the west of the road to Amber in a valley, in the city of Brahmpuri which is 15 km north from the pink city. 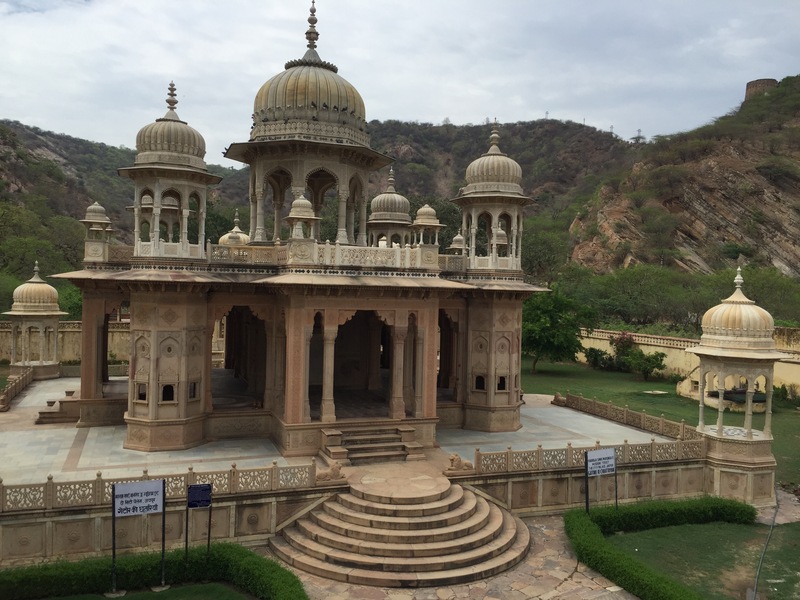 It is a walled royal crematory popular for the gravestones of the Maharajas of Rajasthan. All the mausoleums of Jaipur’s royal family have delicate carvings that combine Islamic and Hindu temple architecture. Each gravestone’s carvings reflect the taste of the respective Maharaja. The one for Sawai Jai Singh is considered the most impressive as it is made of white marble with intricate carvings on it. Gaitor is the mispronunciation of ‘Gaye ka Thor’ which in Hindi is a phrase that means “resting place of the departed souls”. In amongst the chaos of senses this is a tranquil place to reflect and relax.